Hydro Almond Cream is a smooth skin care that deeply moisturizes the skin with rich oils, promotes elasticity and helps retain the skin’s youthful beauty. Hydro Almond Cream is a smooth skin care that deeply moisturizes the skin with rich oils while protecting it against free radicals. It balances the skin’s moisture and lipid content, while Grapeseed Oil makes the skin soft and supple, enhances its elasticity and preserves its youthful beauty. 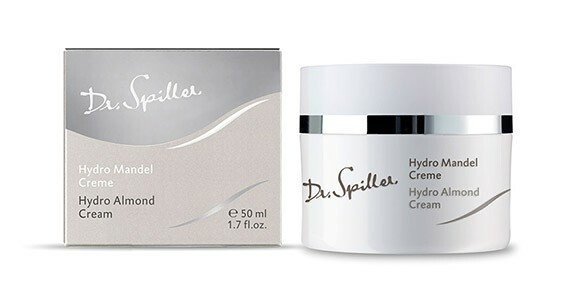 With an unobtrusive almond fragrance, Hydro Almond Cream fulfils all the needs of dry skin. It is particularly helpful when the seasons change. Apply appropriate intensive skin care or active ingredient concentrate to face, neck and décolleté morning and evening after cleansing. Follow with Hydro Almond Cream.